I’m not dead! I just had writer’s block! And the only thing for it when you have writer’s block is to write. Write anything. This is a psalm about God winning. It’s a psalm about how trained warriors go to absolute pieces when faced with his power. “There He broke the flaming arrows, the shield and the sword and the weapons of war” (3), Asaph writes. 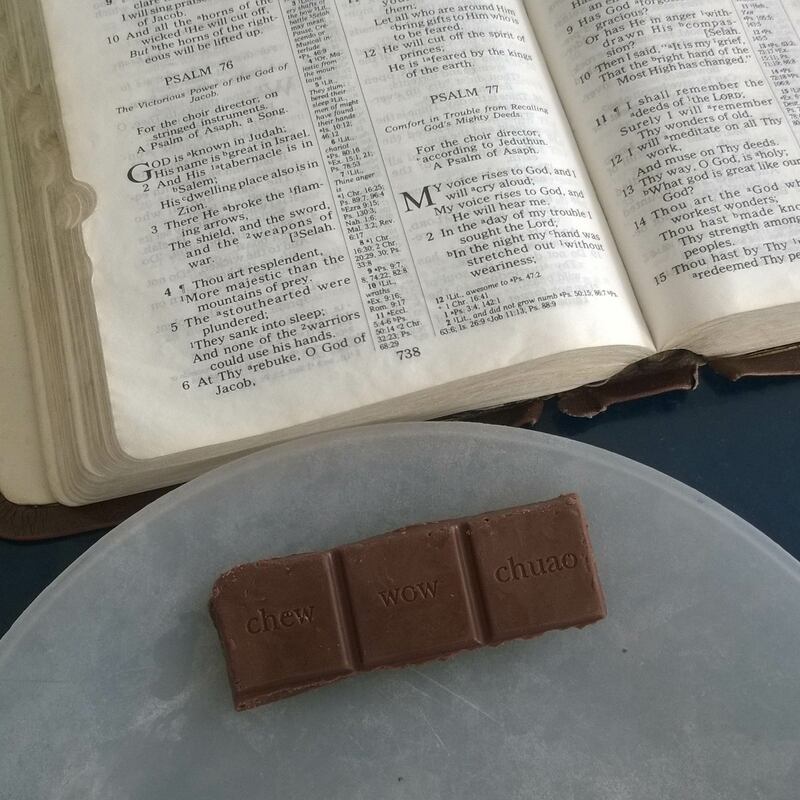 The verse is reminiscent of another pair of lines from the sons of Korah: “He breaks the bow and cuts the spear in two; He burns the chariots with fire” (Psalm 46:9). By the testimony of multiple witnesses it is confirmed: God is literally disarming. Though elsewhere we’ve seen God sinking arrows into his foes (Psalms 45:5, 64:7), today he defeats his foes through nonviolent means. Or does he? “At Your rebuke, O God of Jacob, both rider and horse were cast into a dead sleep” (6), Asaph says. And while the first thing that came to mind was God, wizard-like, chanting his magical rebuke and casting a sleep spell over his foes, it occurs to me that “sleep” is often used as a euphemism for death, especially when said sleep is described as “dead.” In this passage, is the force of God’s rebuking judgment sufficient to kill his opponents outright? What is their fate? Question of the Day: In what sense does Asaph mean “sleep” here? P.S. 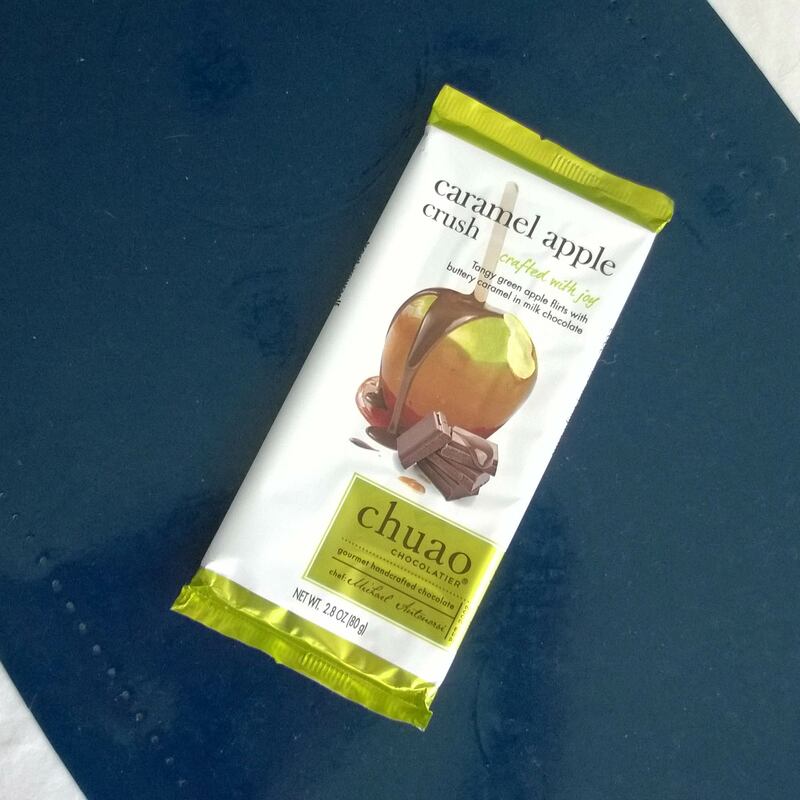 Oh hey, more new Chuao chocolate from a friendly supporter of the blog! Say hello to Caramel Apple Crush. Caramel Apple Crush, something tells me you and I are gonna get along real well. Posted in Daily Reading, Psalms.Tagged Asaph, bible, christianity, death, God, judgment, pacifism, Psalms, scripture, victory.